New Delhi: The Central Reserve Police Force (CRPF) that lost 40 of its jawans in the Pulwama attack has asked its officers to taste food before it gets served to jawans amid the threat perception of a poison attack by Pakistani spy agency ISI. According to a letter issued by the CRPF, officers will eat the food prepared in the mess and canteen and after 30 minutes, it will get served. Also, all officers responsible for mess and canteen will everyday update a register by making entries about the food quality and approval given by them. Further, a lower rank staffer will supervise the preparation of food. This step has been taken after an alert was issued by the Intelligence Bureau (IB) claiming that the ISI may target jawans by adding poison to their food. “An officer will everyday check the food prepared for jawans and also make an entry into the register. After about 30 minutes, the food will be given to jawans," the letter says. “A constable will supervise the staff preparing the food and stock it. If he/she detects any foul play, the constable has to inform senior officers. After checking the food and its quality, it will be served to the jawans. A report will be sent to the supervising officer,” the letter accessed by MyNation says. Officers have been asked to keep a check on shops that are supplying raw food material to the force and not to buy from a new shop or any road side shop even if there is a price difference. 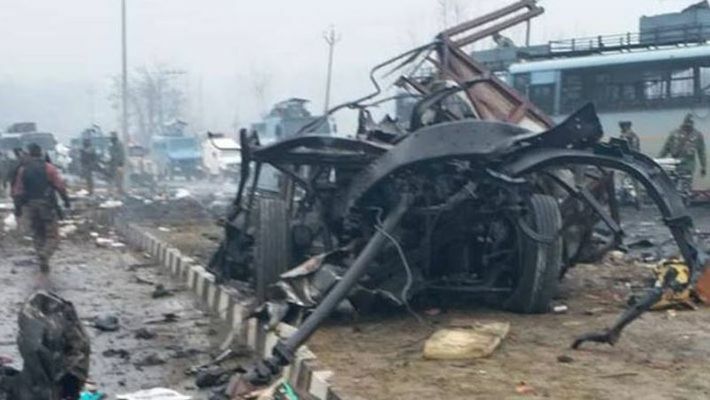 On February 14, an SUV carrying explosives had rammed into a convoy carrying CRPF personnel in Pulwama. The attack claimed the lives of 40 CRPF jawans and critically injured scores. Later, a fidayeen terrorist identified as Adil Ahmed Dar, who had been recruited by Jaish-e-Mohammed (JeM), took responsibility of the attack.